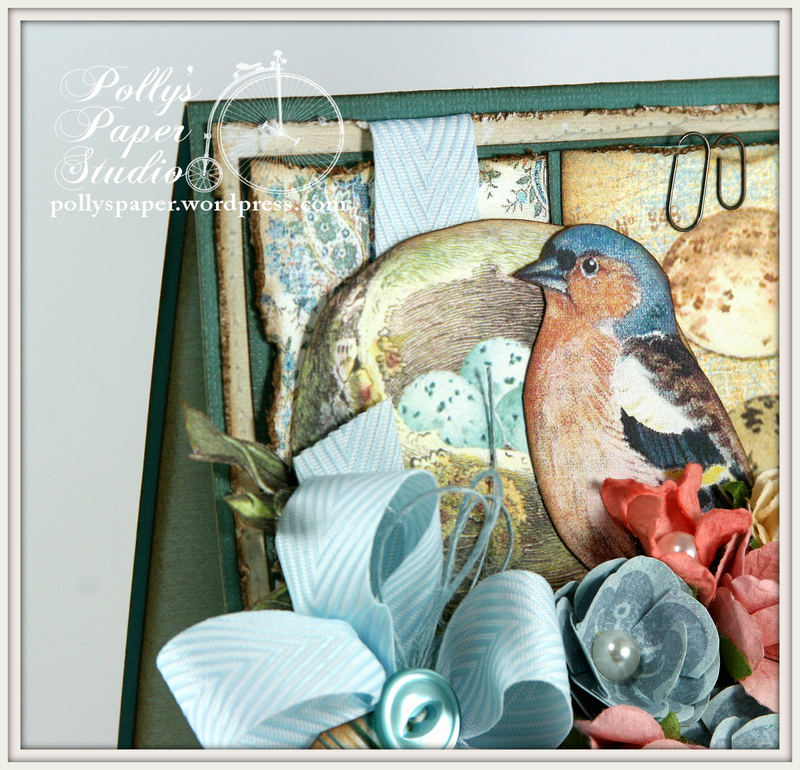 Hey there Paper Peeps...Ginny here and I am so happy that Spring is right around the corner. 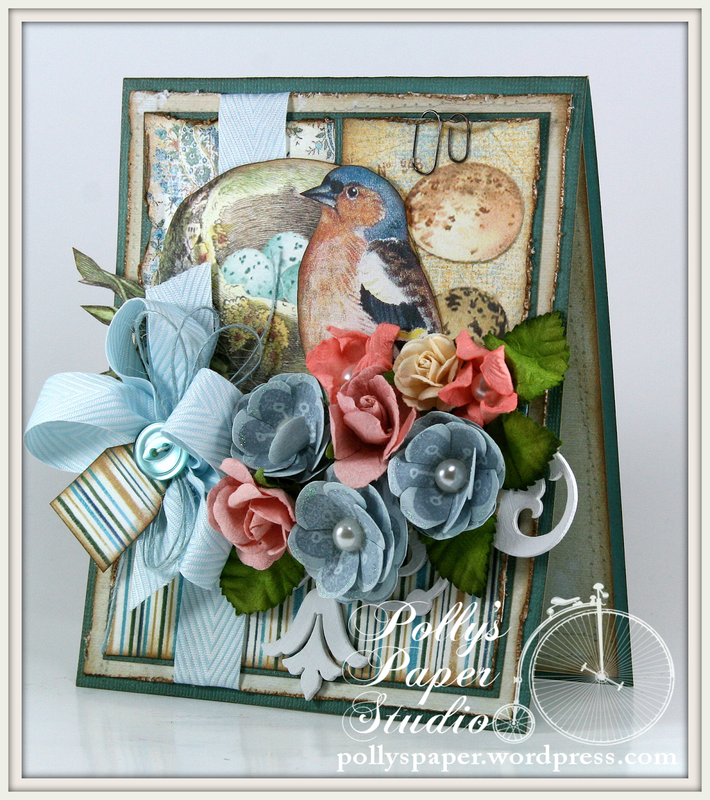 I'm in the mood for some birds and flowers.....so here is a card with both on a fabulous blue stripe and paisley. 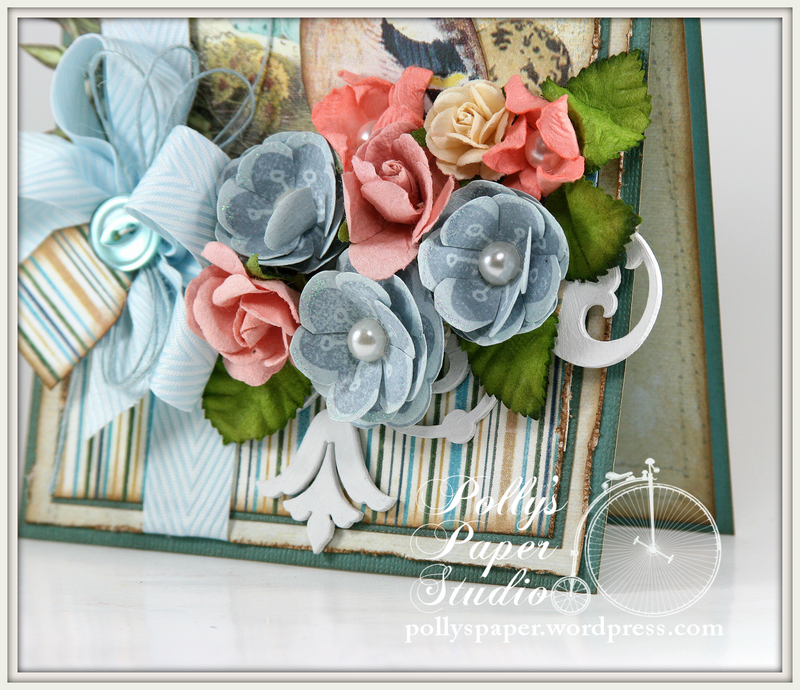 Isn't that Light Blue Chevron Stripe on Twill ribbon just scrumptious??? 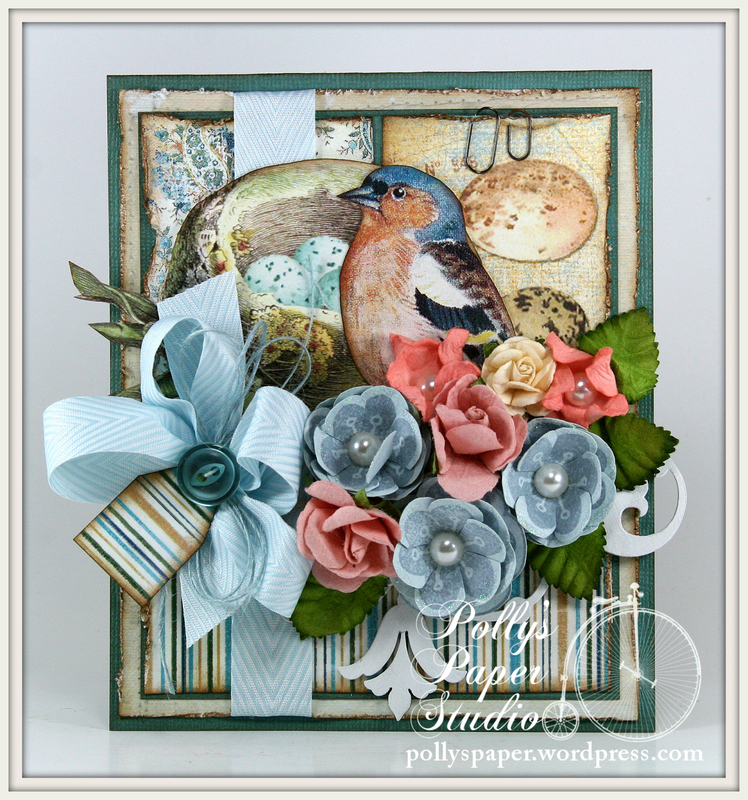 I topped it with Light Blue Burlap String and a button and tag : ) The perfect combo for a Spring card! I used a combination of Mulberry Flowers with handcrafted stamped and layered flowers topped off with pearly accents. There's also a bit of painted chipboard peeking out. 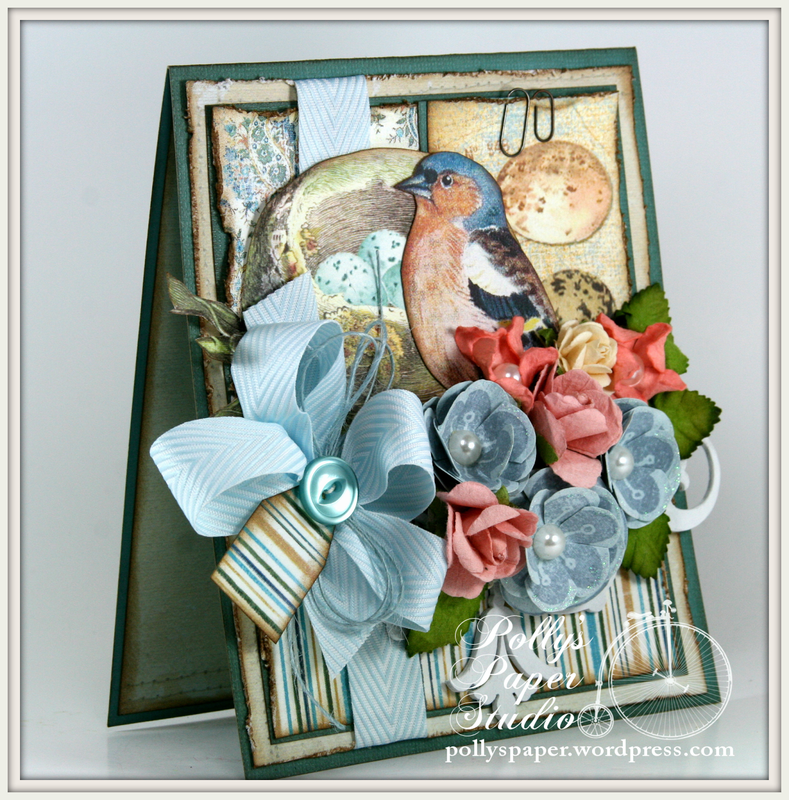 I layered Blue Paisley Stripes and images from the Vintage Illustration CD from Crafty Secrets and a beautiful dark robins egg blue card stock to separate the patterns. I finished the inside with just a neutral card stock with stitching. I used my Tonic Distresser to tatter up the edges..I love the effect after inking...but hate the mess....it's worth it though so I guess I will just clean up lol.